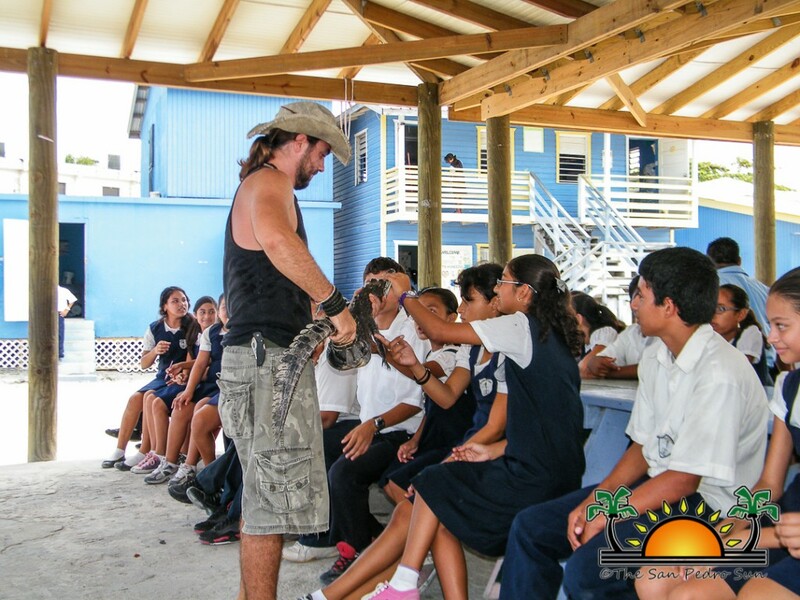 On June 6, 2013, Chris Summers from the American Crocodile Education Sanctuary (ACES) visited the San Pedro Roman Catholic School (SPRC) to educate the upper division students about the conservation of crocodiles and the importance they have in the community. 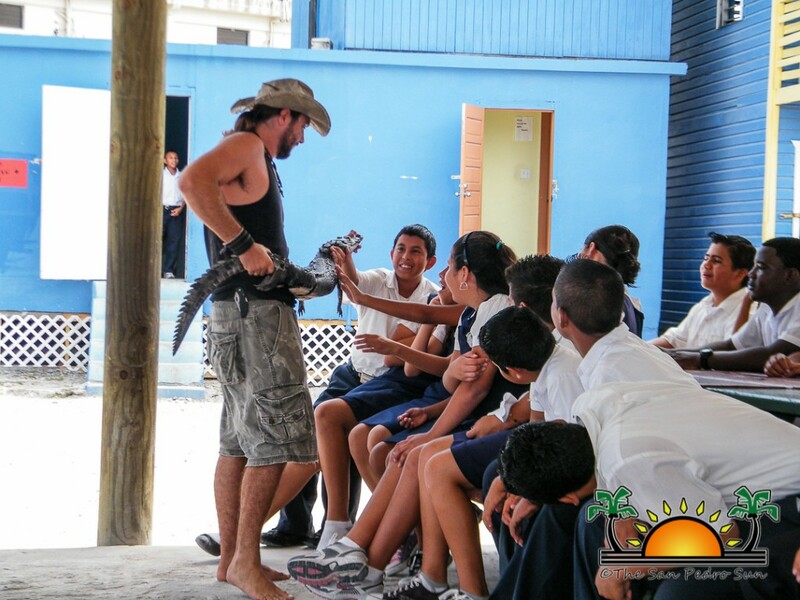 In Belize, there are two different types of crocodiles, the American crocodile and the Morelet crocodile. 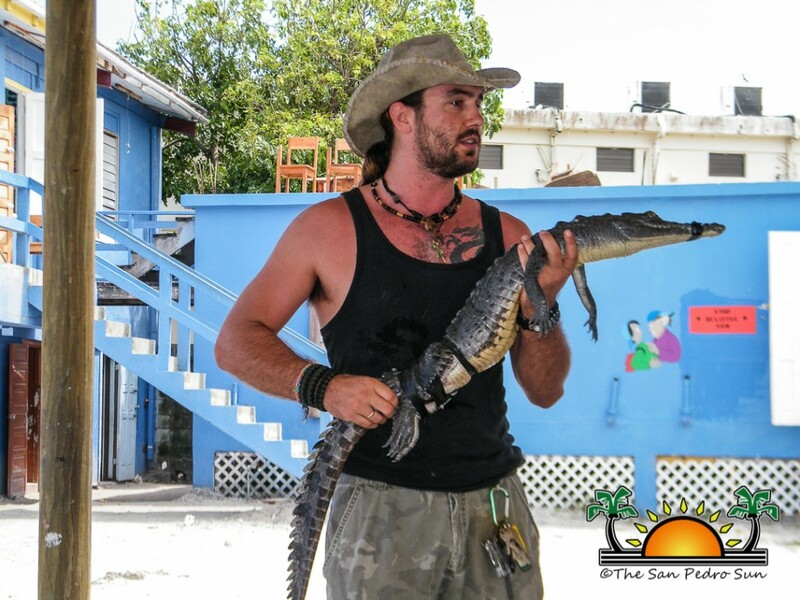 American crocodiles are found across Ambergris Caye since they are considered salt water crocodiles. Morelet in the other hand are only adapted to survive in fresh water. The American Crocodile is considered a threatened species, with numbers quickly dwindling. In Belize, which was considered the last strong hold for the American crocodiles in the Americas, an estimated less than 1,000 crocodiles remain. 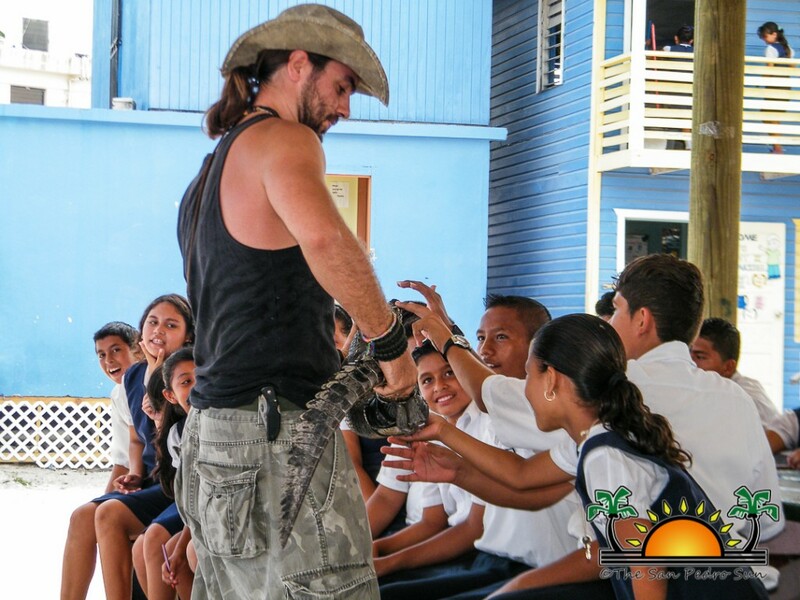 The purpose of Summers’ visit was to educate the school children on the importance of protecting and conserving the species. With summer vacation drawing near, it is of upmost importance for students to know to stay away from locations that crocodiles use as their habitat. Children on vacation are usually more prone to mess with the crocodile habitat, hatchlings and eggs. By educating students and showing that such actions are wrong, Summers hopes that the students of the SPRC will set an example to others. Summers stated that one should not be afraid of these animals, because their normal instinct is to run away. However, if you feed them, eventually they will no longer fear humans, and that is where the trouble arises. It is illegal to feed crocodiles. Harassing crocodiles: approaching, chasing, catching, stoning, etc. is also discouraged. Poaching and killing crocodiles, owning or selling parts of crocodiles, maiming and eating (especially the tail - which doesn't grow back), or taking the eggs - all can deplete their shrinking population. Feeding crocodiles is also a hazard to humans and other animals. If you feed them chicken, they start to expect the food and become lazy. They also start associating humans with food, which can lead to unwanted encounters of crocodiles in one’s yard, etc.! The chicken also lack the nutrients and vitamins that crocodiles need to survive, and this can lead to diabetes and gout. Chris also explained that people should not engage in the purchase of items containing crocodile products, such as teeth, skulls or jaws, since it is illegal. ACES protects crocodiles from people and people from crocodiles. Croc related issues should be reported to ACES’ phone numbers: 631-6366/666-3871. Did you know that crocodiles’ closest relative is a bird? That’s right! Birds! How? Well, they both have similar hearts, bones and brains. This article was written by Alice Corrigan, 12, of The Island Academy. Lovely Alice has expressed interest in writing, researching and typing!! The San Pedro Sun is happy to share our experience, and we welcome her talents on board - who knows, we may learn a thing or two (such as excellent note taking on the iPad). 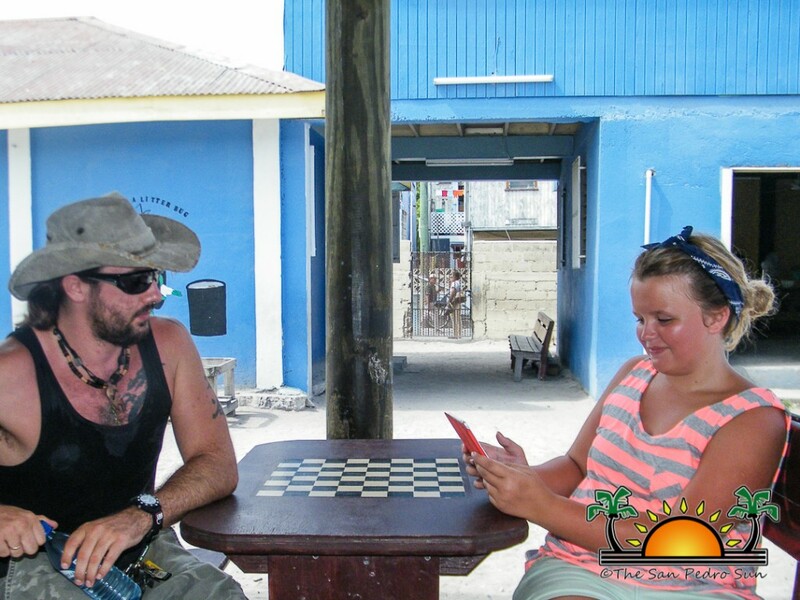 Alice has been on the island for 3 years and 1 month (not that we're counting or anything! ), after moving here from Essex, UK with her mother Kate. Her Favorite subject is Math, followed closely by Creative Writing! For this, her first story, she was accompanied by our newest reporter Janelle, and she was allowed to conduct the interview with Chris Summers, and even took accompanying photographs. Thank you Alice for your great work, and we look forward to more from you!